With a name like Fire Safe ANZ, we take fire safety in Australia incredibly seriously, ensuring our technicians deliver high quality, customised fire protection technology to each and every one of our clients across Australia and New Zealand. Fire Safe ANZ fire protection solutions may include fire extinguishers, fire hose reels, fire indicator panels, fire sprinkler systems, electrical testing and tagging & thermal imaging, with each fire protection package designed to meet your businesses specific needs. In the event of a fire emergency, knowing what to do and where to go can be the significant difference between a fire being put out in its early stages and it engulfing the entire building. 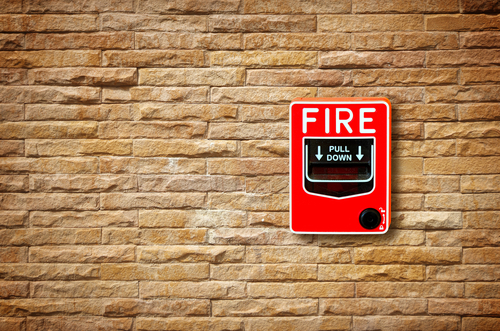 Fire safety training provides employees with the skills to be able to identify fire risks and hazards, as well as the knowledge to effectively respond to a fire if it did break out. If you are looking for a project manager to ensure your fire safety equipment is up to date, Fire Safe ANZ are the name to trust. Supply and installation new sprinkler and fire hydrant systems. With over 15 years of experience in fire safety in Australia and New Zealand, we’ve helped countless clients with their fire protection. Our customers trust us because we professionally and efficiently service a wide range of clients, from national retail and service chains to health care facilities, hotels to local councils & schools to manufacturing plants. Our clients include national brands such as OPSM, Priceline, Goodyear Autocare and AMF Bowling. Put simply, we aim to exceed your expectations, ensure compliance and improve your fire safety in Australia. At Fire Safe ANZ, our customer focus and reporting systems are amongst the best in the industry because our technicians will never ignore a safety or compliance issue. Before arriving to see our clients, one of the Fire Safe ANZ technicians will all ahead to arrange an appointment, giving customers peace of mind knowing that they are aware of who will be turning up and when.